No matter the weather, a session on Ireland’s only indoor slope makes for a memorable experience! Whether you’re a group of complete beginners or seasoned pros, our experienced and qualified instructors will help you find your ski legs with plenty of fun games and competitions. All equipment is included with our sessions, however we recommend wearing comfortable clothes and bringing thick sports/ski socks to wear underneath the boots. Each slope accommodates three skiers at a time, rotating groups every 10 minutes to give leg muscles a well-deserved break! The rest of the group will partake in tournaments in our games room or cheer the others on. A popular option for birthday parties, hens and stags, or team outings, please let us know if you’d like something tailor made and we’ll help you perfect your time with us. The perfect place for a different day out! Hit the slopes for an activity with a difference! Learn a new skill or practise some tricks on Ireland's only indoor slopes. Please note that every attendee must also complete a waiver form; this can be done in advance or upon arrival to the Ski Centre. 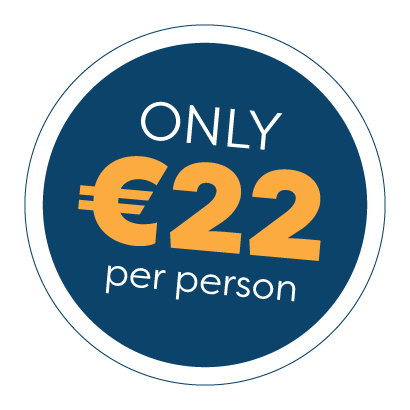 Pricing: €22 per person (minimum of 9 people applies). Get your team performing to the best of their abilities, all whilst having some serious fun. Our engaging activity will help challenge your team and we welcome groups of every level to our safe and friendly setting. Exciting events with experienced & friendly staff.